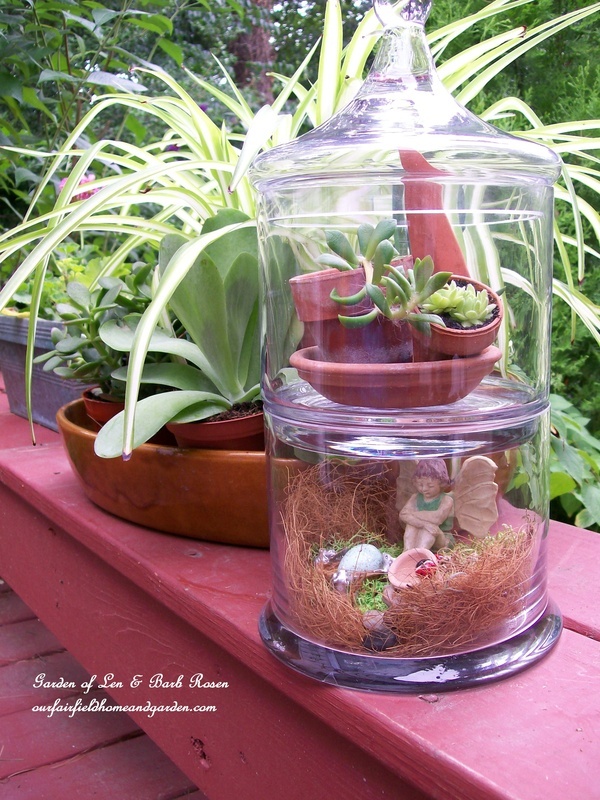 Have you seen the terrariums in the garden centers? 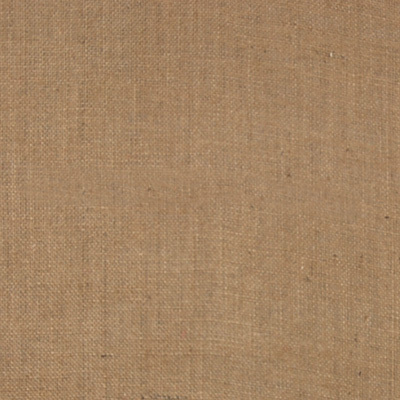 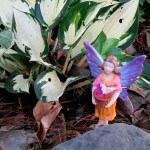 Have you seen the price tags on them? 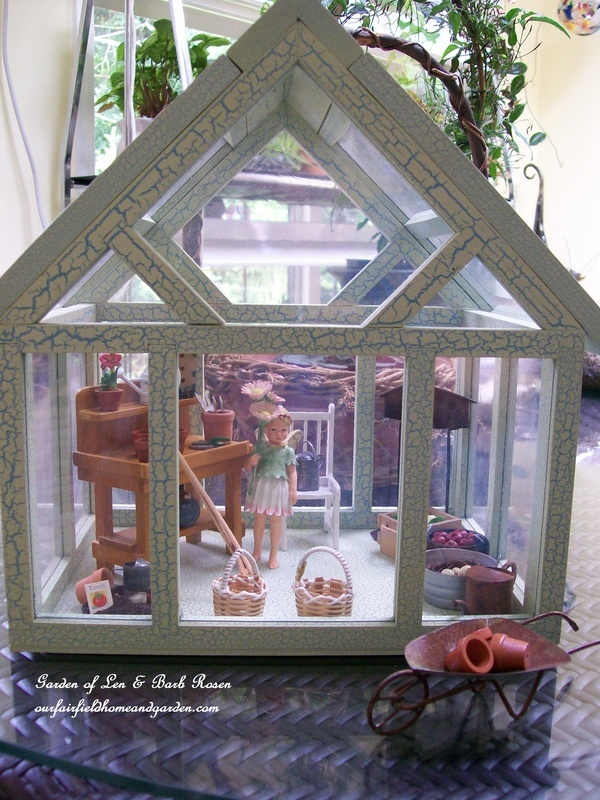 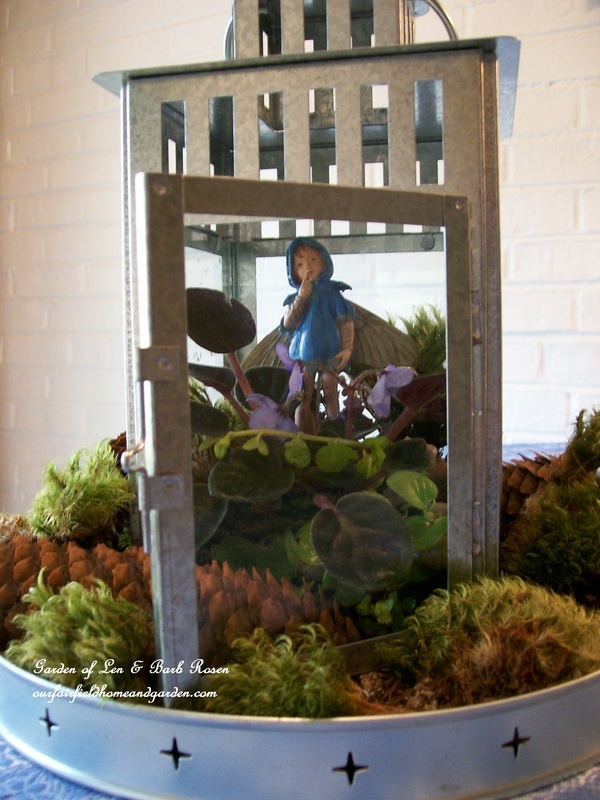 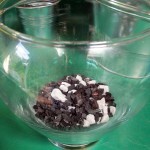 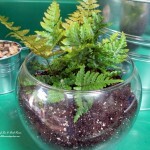 Let me show you how quick, easy and inexpensive it is to create your own terrariums. 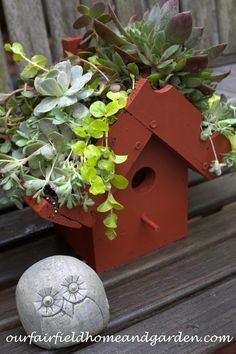 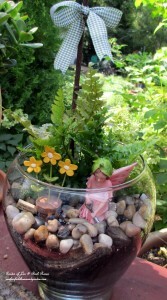 My project will be a fairy terrarium, but you can choose to decorate (or not) yours in any fashion you like. 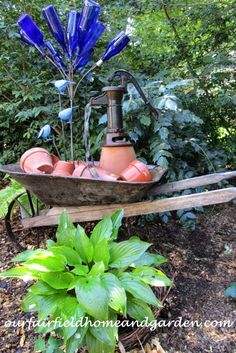 The basic steps are the just same. 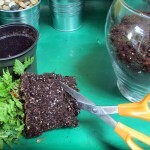 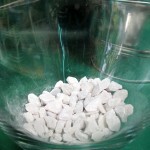 First, gather small stones (mine were from The Dollar Store), potting soil, a small plant (or two or three), some deactivated charcoal (available at pet supply stores), a large glass dish or vase and decorations of your choice. 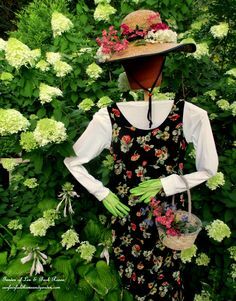 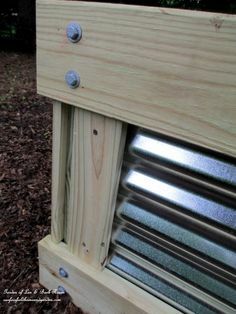 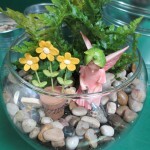 *Note ~ you might want to see my posting about creating your own fairies from natural materials for this one! 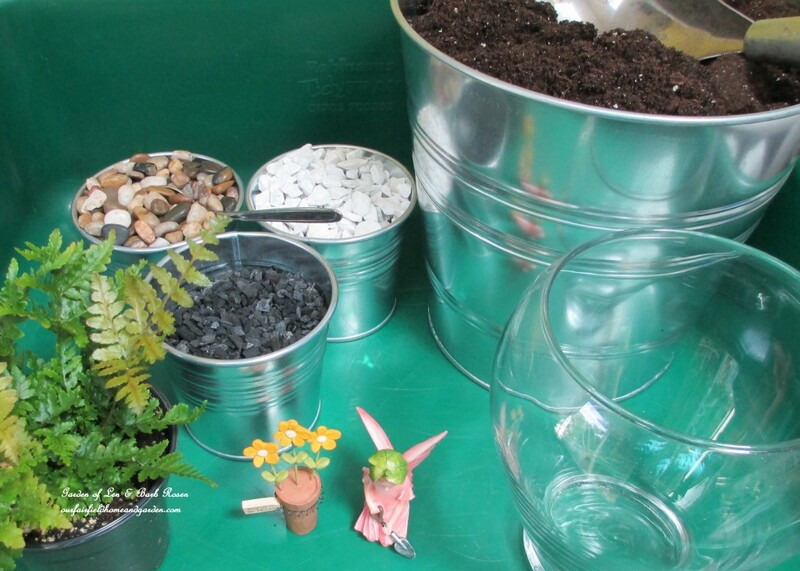 Then follow the picture steps below and let your creativity run away with you! 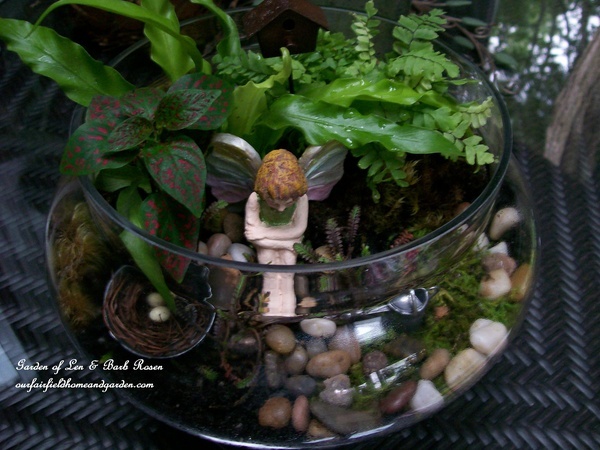 Make sure to check out how much fun I had experimenting with different fairy terrarium creations after the step-by-step! 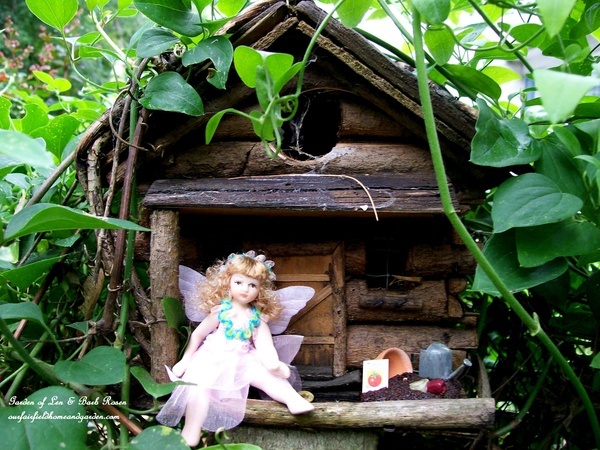 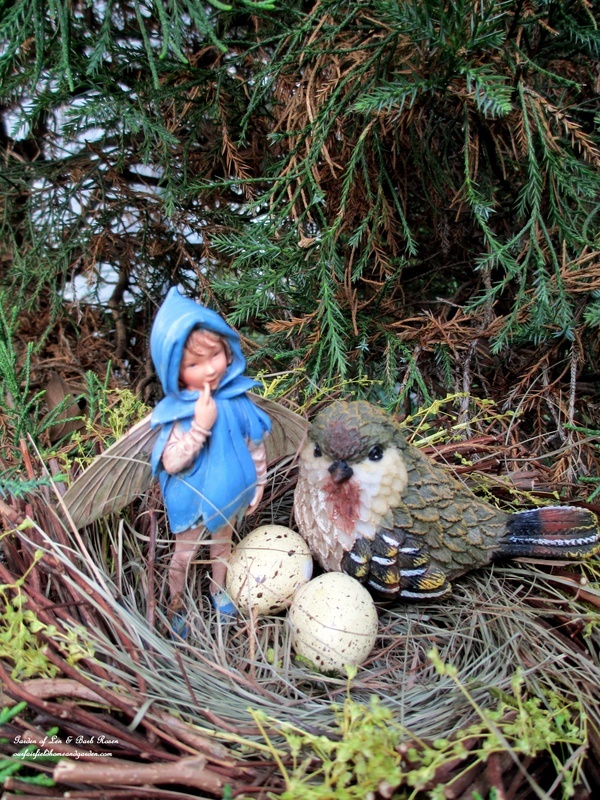 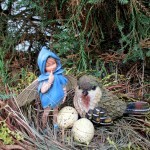 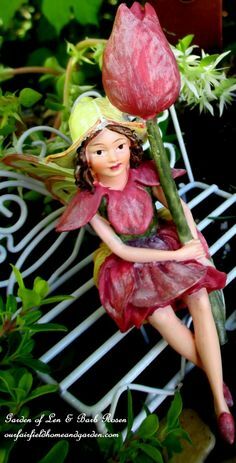 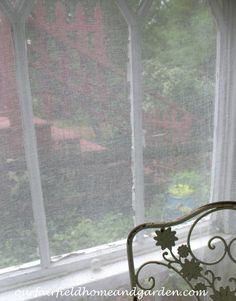 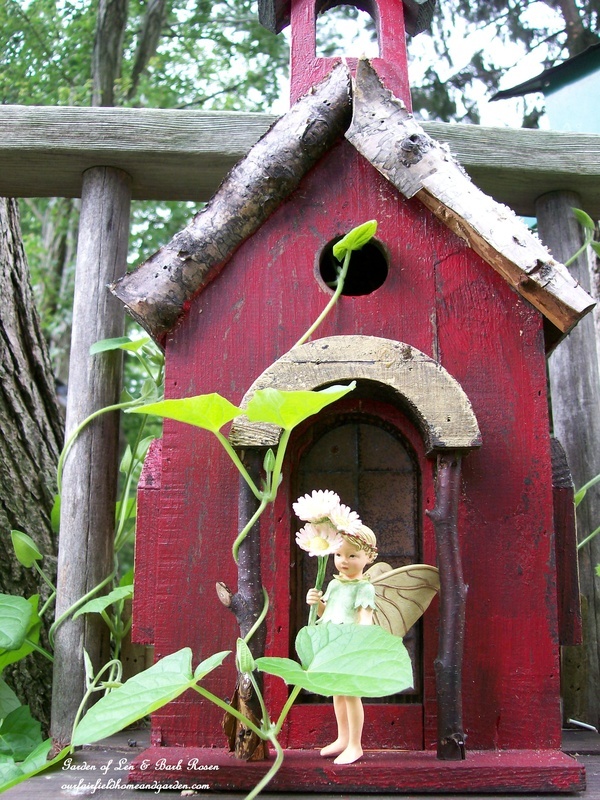 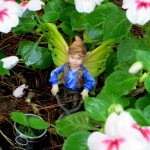 And if you love fairies as much as I do, follow my Fairy & Miniature Gardens Board on Pinterest. 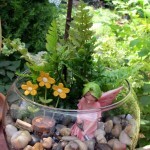 Now, I have to admit that I have been having fun setting up fairy terrariums in the house and in the yard. 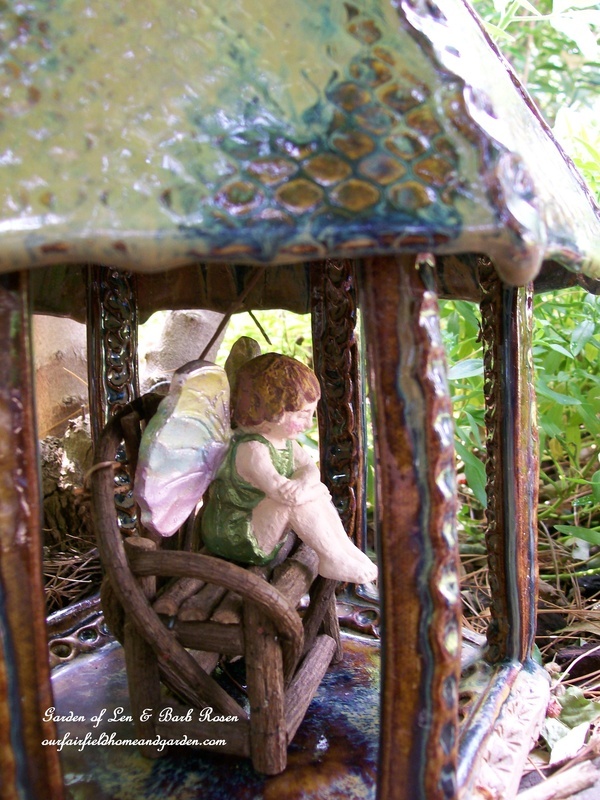 Check out some of my creations!